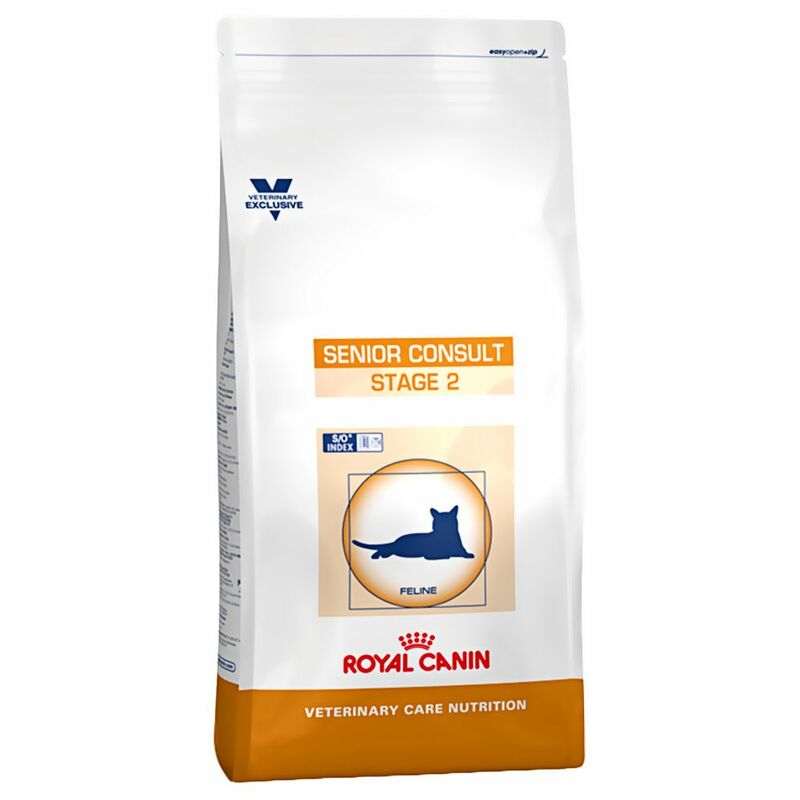 Royal Canin Vet Care Nutrition – Senior Consult Stage 2 is a wellneΒ diet, specifically formulated for cats aged over seven years. It is effective at curbing the signs of ageing and helping to slow down the ageing proceΒ. As your cat grows older, they require more from their diet. There are changes to their metabolism and digestion, while joint function, renal function and overall vitality tend to deteriorate with advancing age. For senior cats aged over seven years old, Royal Canin Vet Care Nutrition – Senior Consult Stage 2 is specially formulated to contain all the nutrients needed to provide for your cat. Green-lipped muΒel extracts contains a high content of chondroitin and glucosamine, which helps support joint mobility, while renal function is supported by a moderate phosphorus content. A balanced amount of L-tryptophan helps supply your cat with serotonin, a neurotransmitter that helps regulate your cat's mood, anxiety, appetite and sleep. The balanced energy content helps your cat to maintain a healthy weight. Suitable for: Senior, neutered cats (aged 7plus) with: Signs of ageing Emerging problems with renal function Joint sensitivity Helps to maintain: Renal function Joint health Overall vitality Key benefits: Age support: specially formulated to contain all the nutrients needed to provide for your senior cat. Containing a moderate phosphorus content to support renal function and enriched with phosphatidylserine (a naturally occurring phospholipid) and L-tryptophan (to help supply your cat with serotonin). Green-lipped muΒel extract helps support joint mobility. Maintain ideal weight: a balanced energy content helps your senior cat to maintain an ideal weight. S/O INDEx: help create a pH neutral urine by feeding your cat a food with an S/O index. This can reduce the risk of calcium oxalate stones and crystals and struvite. Price just £11.79! Click here to buy now!